When you think of hospice, do you think of life? Chances are probably not. Often people think of hospice as a place you go to die, but that is an unfitting way to define what hospice actually is. Hospice is a special kind of care for people who no longer pursue a cure for their illness at the end of life. 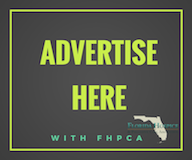 To be eligible for hospice, a patient must have a terminal illness with a prognosis that puts their life expectancy within six months or less (in Florida, some private pay insurers allow for a year or less). With hospice, care priorities shift to the support of patients and the care givers with end-of-life decision-making to reach the best quality possible for each day. Imagine you have stage IV cancer. You have been through multiple radiation treatments that have left your body wrecked. You don’t eat, everything hurts all the time, and you don’t enjoy spending time with your family anymore because you are battling depression. Technically you are alive, but with a quality of life so poor, could you really say you are living? The simple fact of the matter is we all die. Everyone knows it, yet there is still this innate belief that we can evade the inevitable. How and when we die is something we have no control over, yet if we get the opportunity, how we live those last precious months is something we might have a say in. If you were dying with little hope for recovery, would you choose to live out your life in the acute care setting, continuing curative treatments, or would you choose to be comfortable at home with your pain managed and surrounded by loved ones? According to a 1999 Harvard Public Opinion Poll, 71 percent of Americans would prefer the latter and to die at home. 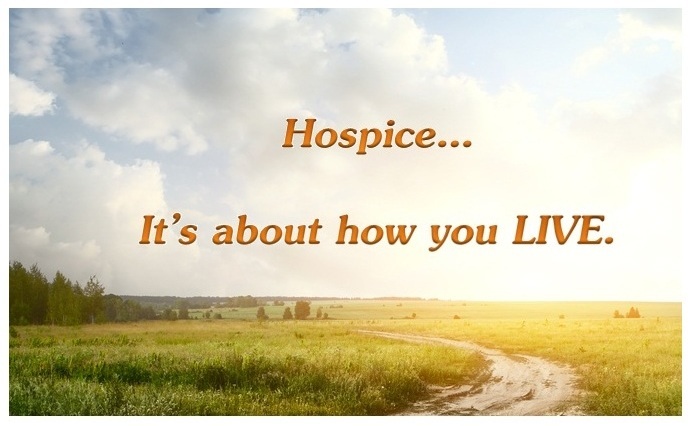 So how does hospice help one to live well? First, hospice uses a team approach. Each patient admitted, receives care from a physician (who works with patient’s current physician), nurse, medical social worker, spiritual counselor, therapist, home health aid, and volunteer. Hospice uses this approach to manage the complexities of end-of-life care by covering all aspects of a patient’s needs, including pain and symptom management, fulfilling end-of-life wishes, providing education, working towards reconciliation with family and friends, grief and bereavement support, housekeeping, respite for caregivers, and much more. Each member of the hospice team is crucial for the care of the patient, extending both the quality and quantity of life. Studies show that patients with hospice/palliative care interventions will have a better quality of life, and will on average live up to 29 days longer. Pain is not the only symptom that needs to be regulated, a patient’s emotional and spiritual issues need to be addressed as well. People with heart disease, diabetes, cancer, stroke, Parkinson’s disease, and HIV/AIDS are at much greater risk for depression than the overall population, up to 75%. Effects of untreated depression can have dangerous consequences including a lack of hope and peace, withdrawal of interaction with loved ones, limited ability to organize end-of-life affairs, increased interest in terminating life early, and can also make managing pain and other symptoms more difficult. Because depression is both emotional and physical, palliative medicine can only go so far. Along with medication, hospice provides spiritual counselors and grief support counselors to help patients overcome their depression so that they can live out the rest of their days in peace. Hospice patients often worry about the stress of family caring for them and what will happen to their family when they are gone. Caregiving for a hospice patient can be an enormous and difficult task, and often caregivers are at a high risk for psychological and physical disorders of their own. However when caregivers are given support, end-of-life care of a loved one can actually be a positive experience. Hospice helps provide support by nurse intervention, educating caregivers on end-of-life, providing respite care, grief and bereavement support counseling. Hospice also provides family and loved ones the option of bereavement counselors and/or support groups for after their loved one has passed away. Hospice is a great resource and service for those who are dying, yet out of the 71% who say that they want to die at home, only a small fraction of that number actually do. Why is that? Besides having to overcome a society’s general fear of death, there is the stigma that a patient will soon die after electing hospice. As mentioned above, hospice may actually add days to your life by managing the pain and symptoms associated with a terminal illness. Patients can elect hospice up to 6 months before they are expected to die, even though the average length of service was 67.4 days in 2010, the median length of service was only 19.7 days, which means that half of hospice patients received care for less than three weeks. This short time frame does not allow for a patient or their family to really benefit from the many services hospice provides, and makes it difficult for family members and patients to prepare themselves emotionally and physically for the end. Being unprepared for death is hard on the patient and results in a longer grieving period for the family. Research shows that when physicians are planning for their own personal care they tend to plan ahead, reject CPR, and die in peace more than the general public. Physicians know what quality end-of-life is. Yet, it is often difficult for these physicians to have a candid discussion with a patient and their family about the patient’s trajectory toward death. This difficulty is understandable when a doctor’s main goal and desire is to make their patients well. However, there are ways in which having the end-of-life discussion can be made easier and more meaningful. Quality-of-life discussions are helpful for ICU patients and for their families when end-of-life discussions need to be made. Communication about end-of-life is best handled early, before aggressive treatments begin and the patient is more stressed and less likely to really reflect on their end-of-life options. 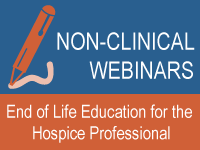 Hospice is prepared for all types of end-of-life discussions, especially the difficult ones. Physicians can call their local hospice to come and speak with patients and their families, so that they can know all of the options available to them and make well informed decisions for if and when the time comes. With the country focusing on quality healthcare more than ever, there is much to be gained when all parts of the healthcare spectrum collaborate to serve patients. The purpose of hospice is to allow death to come naturally, with the goal that each remaining day be one of quality. People can only live for so long, healthcare has cared for them through their entire lives, but when the end is near, hospice can be there to help make the final journeys of dying patients a pleasant experience. A life well lived to a peaceful and graceful end is what hospice is about.